Terms & Conditions : Package is based on selected Saturday cruise departures as follows: 13, 20, 27 April 18 Prices are from a starting price per person sharing, subject to change, airfare increase, currency fluctuations and availability. Taxes are estimated and based on the current exchange rate and are subject to change. Advance purchase, peak season surcharges, block out periods and minimum stay conditions may apply. Please note that airport taxes, fuel levies & surcharges are approximate and subject to change, the exact amount will be confirmed at time of booking. Valid for dates as specified. Group rates available on request. Thompsons Standard Terms and Conditions may apply. E & OE. Exclusions Visitor s tax & port fees. All Items of a personal nature. Meals not mentioned. Medical and Travel insurance. Terms & Conditions : Package is based on a set departures: 01, 15 May 19 Prices are from a starting price per person sharing, subject to change, airfare increase, currency fluctuations and availability. Taxes are estimated and based on the current exchange rate and are subject to change. Advance purchase, peak season surcharges, block out periods and minimum stay conditions may apply. Please note that airport taxes, fuel levies & surcharges are approximate and subject to change, the exact amount will be confirmed at time of booking. Valid for dates as specified. Group rates available on request. Thompsons Standard Terms and Conditions may apply. E & OE. Exclusions Visitor s tax and port fees. All Items of a personal nature. Meals not mentioned. Medical and Travel insurance. Terms & Conditions : Package is based on selected Saturday cruise departures as follows: 13, 20, 27 April 19 Prices are from a starting price per person sharing, subject to change, airfare increase, currency fluctuations and availability. Taxes are estimated and based on the current exchange rate and are subject to change. Advance purchase, peak season surcharges, block out periods and minimum stay conditions may apply. Please note that airport taxes, fuel levies & surcharges are approximate and subject to change, the exact amount will be confirmed at time of booking. Valid for dates as specified. Group rates available on request. Thompsons Standard Terms and Conditions may apply. E & OE. Exclusions Visitor s tax & port fees. All Items of a personal nature. Meals not mentioned. Medical and Travel insurance. FLY-IN PACKAGE INCLUDES: Return flights from Johannesburg to Athens including airline levy Return transfers from airport / hotel / port 1 nights pre and post cruise accommodation at The President Hotel Breakfast daily 4 Nights on board the Celestyal Olympia in an inside cabin All meals onboard Cruise port charges, taxes and gratuities One Shore Excursion Non Alcoholic drinks package Itinerary Highlights: ATHENS (PIRAEUS*), Greece MYKONOS, Greece KUSADASI (Ephesus), Greece PATMOS, Greece RHODES, Greece CRETE (HERAKLION), Greece SANTORINI, Greece ATHENS (PIRAEUS*), Greece Cruise departs on Mondays only. Terms & Conditions : High season airfare supplement apply Prices are from a starting price per person sharing, subject to change, airfare increase, currency fluctuations and availability. Taxes are estimated and based on the current exchange rate and are subject to change. Advance purchase, peak season surcharges, block out periods and minimum stay conditions may apply. Please note that airport taxes, fuel levies & surcharges are approximate and subject to change, the exact amount will be confirmed at time of booking. Valid for dates as specified. Group rates available on request. Thompsons Standard Terms and Conditions may apply. E & OE. Exclusions All Items of a personal nature. Meals not mentioned. Medical and Travel insurance. FLY-IN PACKAGE INCLUDES: Return flights from Johannesburg to Athens including airline levy Return transfers from airport / hotel / port 1 nights pre cruise accommodation at The President Hotel in Athens Breakfast daily 4 Nights on board the Celestyal Olympia in an inside cabin All meals onboard Cruise port charges, taxes and gratuities One Shore Excursion Non Alcoholic drinks package Dubai: Return airport / hotel transfers 2 nights accommodation at The Arabian Park hotel in Dubai on bed and breakfast basis Itinerary Highlights: ATHENS (PIRAEUS*), Greece MYKONOS, Greece KUSADASI (Ephesus), Greece PATMOS, Greece RHODES, Greece CRETE (HERAKLION), Greece SANTORINI, Greece ATHENS (PIRAEUS*), Greece Cruise departs on Mondays only. Terms & Conditions : Prices are from a starting price per person sharing, subject to change, airfare increase, currency fluctuations and availability. Taxes are estimated and based on the current exchange rate and are subject to change. Advance purchase, peak season surcharges, block out periods and minimum stay conditions may apply. Please note that airport taxes, fuel levies & surcharges are approximate and subject to change, the exact amount will be confirmed at time of booking. Valid for dates as specified. Group rates available on request. Thompsons Standard Terms and Conditions may apply. E & OE. Exclusions All Items of a personal nature. Meals not mentioned. Medical and Travel insurance. Terms & Conditions : High season airfare supplement applies Prices are from a starting price per person sharing, subject to change, airfare increase, currency fluctuations and availability. Taxes are estimated and based on the current exchange rate and are subject to change. Advance purchase, peak season surcharges, block out periods and minimum stay conditions may apply. Please note that airport taxes, fuel levies & surcharges are approximate and subject to change, the exact amount will be confirmed at time of booking. Valid for dates as specified. Group rates available on request. Thompsons Standard Terms and Conditions may apply. E & OE. Exclusions All Items of a personal nature. Meals not mentioned. Medical and Travel insurance. FLY-IN PACKAGE INCLUDES: Return flights from Cape Town to Athens including airline levy Return transfers from airport / hotel / port 1 nights pre and post cruise accommodation at The President Hotel Breakfast daily 4 Nights on board the Celestyal Olympia in an inside cabin All meals onboard Cruise port charges, taxes and gratuities One Shore Excursion Non Alcoholic drinks package Itinerary Highlights: ATHENS (PIRAEUS*), Greece MYKONOS, Greece KUSADASI (Ephesus), Greece PATMOS, Greece RHODES, Greece CRETE (HERAKLION), Greece SANTORINI, Greece ATHENS (PIRAEUS*), Greece Cruise departs on Mondays only. FLY-IN PACKAGE INCLUDES: Return flights from Johannesburg to Athens including airline levy Return transfers from airport / hotel / port 1 nights pre and post cruise accommodation at The President Hotel Breakfast daily 4 Nights on board the Celestyal Olympia in an inside cabin All meals onboard Cruise port charges, taxes and gratuities One Shore Excursion Non Alcoholic drinks package Itinerary Highlights: ATHENS (PIRAEUS*), Greece MYKONOS, Greece KUSADASI (Ephesus), Greece PATMOS, Greece RHODES, Greece CRETE (HERAKLION), Greece SANTORINI, Greece ATHENS (PIRAEUS*), Greece Cruise departs on Monday s only. Terms & Conditions : High season airfare apply Prices are from a starting price per person sharing, subject to change, airfare increase, currency fluctuations and availability. Taxes are estimated and based on the current exchange rate and are subject to change. Advance purchase, peak season surcharges, block out periods and minimum stay conditions may apply. Please note that airport taxes, fuel levies & surcharges are approximate and subject to change, the exact amount will be confirmed at time of booking. Valid for dates as specified. Group rates available on request. Thompsons Standard Terms and Conditions may apply. E & OE. Exclusions All Items of a personal nature. Meals not mentioned. Medical and Travel insurance. FLY-IN PACKAGE INCLUDES: Return flights from Johannesburg to Athens including airline levy Return transfers from airport / hotel / port 1 nights pre and 2 nights post cruise accommodation at The President Hotel Breakfast daily 3 Nights on board the Celestyal Olympia in an inside cabin All meals onboard Cruise port charges, taxes and gratuities One Shore Excursion Non Alcoholic drinks package Itinerary Highlights: Day 1 - Athens (Piraeus), Greece Mykonos*, Greece Day 2 - Kusadasi (Ephesus), Turkey Patmos*, Greece Day 3 - Crete (Heraklion), Greece Santorini*, Greece Day 4 - Athens (Piraeus), Greece Cruise departs on Friday s only. Terms & Conditions : High season airfare apply High season cruise supplement apply during easter holidays. Prices are from a starting price per person sharing, subject to change, airfare increase, currency fluctuations and availability. Taxes are estimated and based on the current exchange rate and are subject to change. Advance purchase, peak season surcharges, block out periods and minimum stay conditions may apply. Please note that airport taxes, fuel levies & surcharges are approximate and subject to change, the exact amount will be confirmed at time of booking. Valid for dates as specified. Group rates available on request. Thompsons Standard Terms and Conditions may apply. E & OE. Exclusions All Items of a personal nature. Meals not mentioned. Medical and Travel insurance. Terms & Conditions : Prices are from a starting price per person sharing, subject to change, airfare increase, currency fluctuations and availability. Taxes are estimated and based on the current exchange rate and are subject to change. Advance purchase, peak season surcharges, block out periods and minimum stay conditions may apply. Please note that airport taxes, fuel levies & surcharges are approximate and subject to change, the exact amount will be confirmed at time of booking. Valid for dates as specified. Group rates available on request. Thompsons Standard Terms and Conditions may apply. E & OE. Exclusions Visitor s tax & port fees. All Items of a personal nature. Meals not mentioned. Medical and Travel insurance. FLY-IN PACKAGE INCLUDES: Return flights from Johannesburg to Athens including airline levy Return transfers from airport / hotel / port 1 nights pre cruise accommodation at The President Hotel in Athens Breakfast daily 7 Nights on board the Celestyal Olympia in an inside cabin All meals onboard Cruise port charges, taxes and gratuities One Shore Excursion Non Alcoholic drinks package Itinerary Highlights: Athens, Greece Mykonos, Greece Milos, Greece Santorini, Greece Crete ( Heraklion), Greece Kusadasi, Turkey Athens, Greece Cruise departs on Mondays only. Terms & Conditions : Prices are from a starting price per person sharing, subject to change, airfare increase, currency fluctuations and availability. Taxes are estimated and based on the current exchange rate and are subject to change. Advance purchase, peak season surcharges, block out periods and minimum stay conditions may apply. Please note that airport taxes, fuel levies & surcharges are approximate and subject to change, the exact amount will be confirmed at time of booking. Valid for dates as specified. Group rates available on request. Thompsons Standard Terms and Conditions may apply. E & OE. Exclusions All Items of a personal nature. Meals not mentioned. Medical and Travel insurance. Overnight tax. Tours.Entrance fees to site. Fuel for vehicle. Terms & Conditions : High season tour supplement applies: 25 May to 14 June 2019 Prices are from a starting price per person sharing, subject to change, airfare increase, currency fluctuations and availability. Taxes are estimated and based on the current exchange rate and are subject to change. Advance purchase, peak season surcharges, block out periods and minimum stay conditions may apply. Please note that airport taxes, fuel levies & surcharges are approximate and subject to change, the exact amount will be confirmed at time of booking. Valid for dates as specified. Group rates available on request. Thompsons Standard Terms and Conditions may apply. E & OE. Exclusions All Items of a personal nature. Meals not mentioned. Medical and Travel insurance. Terms & Conditions : High season airfare supplement may apply. Prices are from a starting price per person sharing, subject to change, airfare increase, currency fluctuations and availability. Taxes are estimated and based on the current exchange rate and are subject to change. Advance purchase, peak season surcharges, block out periods and minimum stay conditions may apply. Please note that airport taxes, fuel levies & surcharges are approximate and subject to change, the exact amount will be confirmed at time of booking. Valid for dates as specified. Group rates available on request. Thompsons Standard Terms and Conditions may apply. E & OE. Exclusions All Items of a personal nature. Meals not mentioned. Medical and Travel insurance. Terms & Conditions : Prices are from a starting price per person sharing, subject to change, currency fluctuations and availability. Taxes are estimated and based on the current exchange rate and are subject to change. Advance purchase, peak season surcharges, block out periods and minimum stay conditions may apply. Valid for dates as specified. Group rates available on request. Thompsons Standard Terms and Conditions may apply. E & OE. Exclusions All Items of a personal nature. Meals not mentioned. Medical and Travel insurance. PACKAGE INCLUDES: Accommodation - 2 nights in Athens, 2 nights in Paros & 2 nights in Naxos. 1 Night Post Tour Accommodation in Athens Bed and Breakfast throughout Athens city tour with Acropolis and Acropolis museum, on SIC, including English speaking guide. All transfers throughout Ferry tickets Piraeus - Paros and Paros - Naxos and Naxos to Piraeus with regular ferry, economy class. Meet & Greet service for tour briefing and orientation by an English speaking representative All entrance/admission fees to sites and museums. FLY-IN PACKAGE INCLUDES: Return flights from Durban to Athens including airline levy Accommodation - 2 nights in Athens, 2 nights in Paros & 2 nights in Naxos. 1 Night Post Tour Accommodation in Athens Bed and Breakfast throughout Athens city tour with Acropolis and Acropolis museum, on SIC, including English speaking guide. All transfers throughout Ferry tickets Piraeus - Paros and Paros - Naxos and Naxos to Piraeus with regular ferry, economy class. Meet & Greet service for tour briefing and orientation by an English speaking representative All entrance/admission fees to sites and museums. Terms & Conditions : Prices are from a starting price per person sharing, subject to change, airfare increase, currency fluctuations and availability. Taxes are estimated and based on the current exchange rate and are subject to change. Advance purchase, peak season surcharges, block out periods and minimum stay conditions may apply. Please note that airport taxes, fuel levies & surcharges are approximate and subject to change, the exact amount will be confirmed at time of booking. Valid for dates as specified. Group rates available on request. Thompsons Standard Terms and Conditions may apply. E & O Exclusions All Items of a personal nature. Meals not mentioned. Medical and Travel insurance. Terms & Conditions : Package does not include one way delivery / collection fee for car rental. Prices are from a starting price per person sharing, subject to change, airfare increase, currency fluctuations and availability. Taxes are estimated and based on the current exchange rate and are subject to change. Advance purchase, peak season surcharges, block out periods and minimum stay conditions may apply. Please note that airport taxes, fuel levies & surcharges are approximate and subject to change, the exact amount will be confirmed at time of booking. Valid for dates as specified. Group rates available on request. Thompsons Standard Terms and Conditions may apply. E & OE.E. Exclusions Visitor s tax and port fees. All Items of a personal nature. Meals not mentioned. Medical and Travel insurance. PACKAGE INCLUDES: Return transfers from airport / hotel / port 1 nights pre and 2 nights post cruise accommodation at The President Hotel Breakfast daily 3 Nights on board the Celestyal Olympia in an inside cabin All meals onboard Cruise port charges, taxes and gratuities One Shore Excursion Non Alcoholic drinks package Itinerary Highlights: Day 1 - Athens (Piraeus), Greece Mykonos*, Greece Day 2 - Kusadasi (Ephesus), Turkey Patmos*, Greece Day 3 - Crete (Heraklion), Greece Santorini*, Greece Day 4 - Athens (Piraeus), Greece Cruise departs on Friday s only. Terms & Conditions : High season cruise supplement apply during easter holidays. Prices are from a starting price per person sharing, subject to change, airfare increase, currency fluctuations and availability. Taxes are estimated and based on the current exchange rate and are subject to change. Advance purchase, peak season surcharges, block out periods and minimum stay conditions may apply. Please note that airport taxes, fuel levies & surcharges are approximate and subject to change, the exact amount will be confirmed at time of booking. Valid for dates as specified. Group rates available on request. Thompsons Standard Terms and Conditions may apply. E & OE. Exclusions All Items of a personal nature. Meals not mentioned. Medical and Travel insurance. Terms & Conditions : High season airfare supplement apply. Prices are from a starting price per person sharing, subject to change, airfare increase, currency fluctuations and availability. Taxes are estimated and based on the current exchange rate and are subject to change. Advance purchase, peak season surcharges, block out periods and minimum stay conditions may apply. Please note that airport taxes, fuel levies & surcharges are approximate and subject to change, the exact amount will be confirmed at time of booking. Valid for dates as specified. Group rates available on request. Thompsons Standard Terms and Conditions may apply. E & OE. Exclusions All Items of a personal nature. Meals not mentioned. Medical and Travel insurance. Terms & Conditions : Package is based on selected Wednesday departures as follows: 10 Apr, 24 Apr, 01 May, 08 May 19 Prices are from a starting price per person sharing, subject to change, airfare increase, currency fluctuations and availability. Taxes are estimated and based on the current exchange rate and are subject to change. Advance purchase, peak season surcharges, block out periods and minimum stay conditions may apply. Please note that airport taxes, fuel levies & surcharges are approximate and subject to change, the exact amount will be confirmed at time of booking. Valid for dates as specified. Group rates available on request. Thompsons Standard Terms and Conditions may apply. E & OE. Exclusions Visitor s tax & port fees. All Items of a personal nature. Meals not mentioned. Medical and Travel insurance. FLY-IN PACKAGE INCLUDES: Return flights with Emirates from Johannesburg to Athens including airline levy Meet & Greet service for tour briefing and orientation by an English speaking representative All transfers throughout Accommodation - 2 nights in Athens, 2 nights in Paros & 2 nights in Naxos. 1 Night Post Tour Accommodation in Athens Bed and Breakfast throughout Athens city tour with Acropolis and Acropolis museum Ferry tickets Piraeus - Paros and Paros - Naxos and Naxos to Piraeus with regular ferry, economy class. All entrance/admission fees to sites and museums. Valid for selected set departures only. Terms & Conditions : High season airfare supplement apply. Prices are from a starting price per person sharing, subject to change, airfare increase, currency fluctuations and availability. Taxes are estimated and based on the current exchange rate and are subject to change. Advance purchase, peak season surcharges, block out periods and minimum stay conditions may apply. Please note that airport taxes, fuel levies & surcharges are approximate and subject to change, the exact amount will be confirmed at time of booking. Valid for dates as specified. Group rates available on request. Thompsons Standard Terms and Conditions may apply. E & O Exclusions All Items of a personal nature. Meals not mentioned. Medical and Travel insurance. FLY-IN PACKAGE INCLUDES: Return flights from Johannesburg to Athens including airline levy All transfers throughout Meet and greet service for tour briefing and orientation by an English speaking representative 3 Nights in Athens at Hotel Crystal City or similar 1 Night in Olympia at Hotel Antonios or similar 1 Night in Delphi at Hotel Hermes or similar 2 Nights in Zakynthos Athens city tour with Acropolis and Acropolis Museum The 3-day Classical Greece tour on SIC on half-board basis The day boat excursion in Zakynthos to Navagio beach and the blue caves Ferry tickets from Kyllini-Zakynthos-Kyllini All entrance and admission fees to sites and museums ITINERARY: Day 1/2: Athens Day 3: Corinth canal, Epidaurus, Nafplion, Mycenae / Olympia Day 4: Olympia / Zakynthos Day 5: The unique "Navagio" (shipwreck) beach and the Blue Caves / Zakynthos Day 6: Zakynthos - Delphi Day 7: Delphi / Athens Day 8: Athens Tour departs on Thursdays only. FLY-IN PACKAGE INCLUDES: Return flights from Johannesburg to Athens including airline levy Meet and great services for the tour briefing and orientation by an English speaking representative All transfers throughout 1 Night accommodation in Athens Athens city tour with Acropolis and Acropolis museum 7 nights Idyllic Aegean cruise in an Inside Cabin, Celestyal Cruises Cruise includes: All meals, selected drinks, port taxes, service charges, tips and gratuities on board All entrance/admission fees to sites and museums ITINERARY: Day 01 & 02: Athens Day 03: Mykonos / On Cruise Day 04: Milos / On Cruise Days 05 & 06: Santorini / On Cruise Day 07: Crete / On Cruise Day 08. Kusadasi / On Cruise Day 09: Athens Tour departs on Sundays only. FLY-IN PACKAGE INCLUDES: Return flights from Johannesburg to Athens including airline levy Meet and great services for the tour briefing and orientation by an English speaking representative All transfers throughout 1 Night accommodation in Athens Athens city tour with Acropolis and Acropolis museum 7 nights Idyllic Aegean cruise in an Inside Cabin Cruise includes: All meals, selected drinks, port taxes, service charges, tips and gratuities on board All entrance/admission fees to sites and museums ITINERARY: Day 01 & 02: Athens Day 03: Mykonos / On Cruise Day 04: Milos / On Cruise Days 05 & 06: Santorini / On Cruise Day 07: Crete / On Cruise Day 08. Kusadasi / On Cruise Day 09: Athens Tour departs on Sundays only. PACKAGE INCLUDES: Return flights from Johannesburg including airline levies Return airport to hotel transfers 2 Nights accommodation at the AC Hotel by Marriott Istanbul Macka or similar 1 Night accommodation at the Holiday Inn Ankara or similar 2 Nights accommodation at the Cappadocia Eco Lodge or similar 1 Night accommodation at the Spa Hotel Colossae Thermal or similar 2 Nights accommodation at the Marina Hotel & Suites Kusadasi or similar 1 Night accommodation at the Grand Anzac Hotel or similar 1 Night accommodation at the AC Hotel by Marriott Istanbul Macka or similar Breakfast daily, 1 lunch & 8 dinners Tour guide throughout your tour & luggage handling ITINERARY: Day 1 / 2 - Istanbul Day 3 - Istanbul - Ankara Day 4 - Ankara - Cappadocia Day 5 - Cappadocia Day 6 - Cappadocia - Pamukkale Day 7 - Pamukkale - Kusadasi Day 8 - Ephesus & St. Mary s House - Kusadasi Day 9 - Pergamum - Troy - Canakkale Day 10 - Dardanelles - Gallipoli - Istanbul Day 11 - Istanbul Tour is valid for selected Friday departures. Terms & Conditions : High season supplement apply Block out dates apply on selected departures. Prices are from a starting price per person sharing, subject to change, airfare increase, currency fluctuations and availability. Taxes are estimated and based on the current exchange rate and are subject to change. Advance purchase, peak season surcharges, block out periods and minimum stay conditions may apply. Please note that airport taxes, fuel levies & surcharges are approximate and subject to change, the exact amount will be confirmed at time of booking. Valid for dates as specified. Group rates available on request. Thompsons Standard Terms and Conditions may apply. E & OE. Exclusions All Items of a personal nature. Meals not mentioned. Medical and Travel insurance. Terms & Conditions : Prices are from a starting price per person sharing, subject to change, airfare increase, currency fluctuations and availability. Taxes are estimated and based on the current exchange rate and are subject to change. Advance purchase, peak season surcharges, block out periods and minimum stay conditions may apply. Please note that airport taxes, fuel levies & surcharges are approximate and subject to change, the exact amount will be confirmed at time of booking. Valid for dates as specified. Group rates available on request. Thompsons Standard Terms and Conditions may apply. For standard terms and conditions refer to www.thompsons.co.za E&OE. Exclusions Visitors tax and port fees paid directly. Entrance fee to national parks. All Items of a personal nature. Meals and drinks not mentioned. Medical and Travel insurance. FLY-IN PACKAGE INCLUDES: Return flights with Qatar Airways from Johannesburg to Athens including airline levies. All transfers 7 Nights accommodation - 3 Nights in Athens at Hotel Crystal City, 2 Nights in Syros at Hotel Brazerra, 2 Nights in Mykonos at Hotel New Aelos. Athens city tour with Acropolis and Acropolis museum All ferry tickets from Piraeus - Syros, from Syros - Mykonos and from Mykonos - Athens with a regular ferry in economy class Admission fees to sites and museums and all taxes. Terms & Conditions : Prices are from a starting price per person sharing, subject to change, airfare increase, currency fluctuations and availability. Taxes are estimated and based on the current exchange rate and are subject to change. Advance purchase, peak season surcharges, block out periods and minimum stay conditions may apply. Please note that airport taxes, fuel levies & surcharges are approximate and subject to change, the exact amount will be confirmed at time of booking. Valid for dates as specified. Group rates available on request. Thompsons Standard Terms and Conditions may apply. For standard terms and conditions refer to www.thompsons.co.za E&OE. Exclusions City tax payable directly at hotels. All Items of a personal nature. Meals and drinks not mentioned. Medical and Travel insurance. Terms & Conditions : Peak season surcharge for travel between June - August from R 16 826 per person. Travel to be within 12 months of date of marriage in order to qualify for honeymoon package. Prices are from a starting price per person sharing, subject to change, airfare increase, currency fluctuations and availability. Taxes are estimated and based on the current exchange rate and are subject to change. Advance purchase, peak season surcharges, block out periods and minimum stay conditions may apply. Please note that airport taxes, fuel levies & surcharges are approximate and subject to change, the exact amount will be confirmed at time of booking. Valid for dates as specified. Group rates available on request. Thompsons Standard Terms and Conditions may apply. For standard terms and conditions refer to www.thompsons.co.za E&OE. Exclusions All Items of a personal nature. Meals and drinks not mentioned. Medical and Travel insurance. Terms & Conditions : Package is based on selected Wednesday and Saturday departures as follows: 3, 6, 13, 17 24, 27, 31 Jul & 7, 10, 14, 24 Aug Prices are from a starting price per person sharing, subject to change, airfare increase, currency fluctuations and availability. Taxes are estimated and based on the current exchange rate and are subject to change. Advance purchase, peak season surcharges, block out periods and minimum stay conditions may apply. Please note that airport taxes, fuel levies & surcharges are approximate and subject to change, the exact amount will be confirmed at time of booking. Valid for dates as specified. Group rates available on request. Thompsons Standard Terms and Conditions may apply. E & OE. Exclusions All Items of a personal nature. Meals not mentioned. Medical and Travel insurance. Terms & Conditions : Package is based on selected Saturday cruise departures as follows: 27 Apr, 4, 11 May, 01 Jun Prices are from a starting price per person sharing, subject to change, airfare increase, currency fluctuations and availability. Taxes are estimated and based on the current exchange rate and are subject to change. Advance purchase, peak season surcharges, block out periods and minimum stay conditions may apply. Please note that airport taxes, fuel levies & surcharges are approximate and subject to change, the exact amount will be confirmed at time of booking. Valid for dates as specified. Group rates available on request. Thompsons Standard Terms and Conditions may apply. E & OE. Exclusions Visitor s tax & port fees. All Items of a personal nature. Meals not mentioned. Medical and Travel insurance. Terms & Conditions : High season airfare supplement apply Block out dates apply on selected departures. Prices are from a starting price per person sharing, subject to change, airfare increase, currency fluctuations and availability. Taxes are estimated and based on the current exchange rate and are subject to change. Advance purchase, peak season surcharges, block out periods and minimum stay conditions may apply. Please note that airport taxes, fuel levies & surcharges are approximate and subject to change, the exact amount will be confirmed at time of booking. Valid for dates as specified. Group rates available on request. Thompsons Standard Terms and Conditions may apply. E & OE. Exclusions All Items of a personal nature. Meals not mentioned. Medical and Travel insurance. FLY-IN PACKAGE INCLUDES: Return flights from Johannesburg to Istanbul including airline levy First Class hotels with private facilities. Meals included are 13 breakfasts, 1 lunch and 9 dinners. Licensed guides throughout Turkey. Private air-conditioned transportation with luggage handling. Arrival and departure transfers, only on arrival and departure days. Local taxes and service charges. Hotels: Istanbul - Conrad Istanbul Conrad Istanbul - Kolin Hotel Kolin Hotel - Swissotel Grand Efes Pamukkale - Doga Thermal & Spa Bodrum - Doria Hotel Antalya - The Marmara Cappadocia - Gamirasu Ankara - Hilton Hotel *Hotels are as mentioned or similar* Tour departs on selcted Thursdays only. Terms & Conditions : High season supplement apply Block out dates apply on selected departures. Prices are from a starting price per person sharing, subject to change, airfare increase, currency fluctuations and availability. Taxes are estimated and based on the current exchange rate and are subject to change. Advance purchase, peak season surcharges, block out periods and minimum stay conditions may apply. Please note that airport taxes, fuel levies & surcharges are approximate and subject to change, the exact amount will be confirmed at time of booking. Valid for dates as specified. Group rates available on request. Thompsons Standard Terms and Conditions may apply. E & OE. 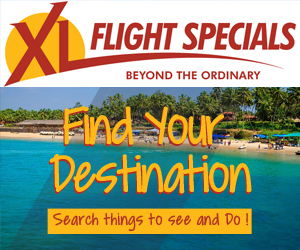 Exclusions Optional tours. Customary tips to guide and drivers. All Items of a personal nature. Meals not mentioned. Medical and Travel insurance. FLY-IN PACKAGE INCLUDES: Return flights from Johannesburg including airline levy Return airport to hotel transfers 2 Nights accommodation at the Conrad Istanbul Bosphorus or similar 1 Night accommodation at Hotel Kolin or similar 2 Nights accommodation at the Swissotel Grand Efes Izmir or similar 1 Night accommodation at the Doga Thermal Health & Spa or similar 2 Nights accommodation at the Doria Hotel Bodrum or similar 2 Nights accommodation at the The Marmara Antalya or similar Breakfast daily, 1 lunch & 6 dinners Tour guide throughout your tour Luggage handling ITINERARY: Day 1 / 2 - Istanbul Day 3 - Gallipoli - Dardanelles - Canakkale Day 4 - Troy - Pergamum - Izmir Day 5 - Ephesus & St. Mary s House - Izmir Day 6 - Izmir - Pamukkale Day 7 - Pamukkale - Bodrum Day 8 - Bodrum - Kos Day 9 - Bodrum - Antalya Day 10 - Perge - Aspendos - Antalya Day 11 - Antalya Tour is valid for selected Thursday departures. Terms & Conditions : High season airfare supplement applies: Prices are from a starting price per person sharing, subject to change, airfare increase, currency fluctuations and availability. Taxes are estimated and based on the current exchange rate and are subject to change. Advance purchase, peak season surcharges, block out periods and minimum stay conditions may apply. Please note that airport taxes, fuel levies & surcharges are approximate and subject to change, the exact amount will be confirmed at time of booking. Valid for dates as specified. Group rates available on request. Thompsons Standard Terms and Conditions may apply. E & OE. Exclusions All Items of a personal nature. Meals not mentioned. Medical and Travel insurance. Optional tours, customary tips to guide and drivers. Terms & Conditions : High season airfare supplement apply Block out dates apply on selected departures. Prices are from a starting price per person sharing, subject to change, airfare increase, currency fluctuations and availability. Taxes are estimated and based on the current exchange rate and are subject to change. Advance purchase, peak season surcharges, block out periods and minimum stay conditions may apply. Please note that airport taxes, fuel levies & surcharges are approximate and subject to change, the exact amount will be confirmed at time of booking. Valid for dates as specified. Group rates available on request. Thompsons Standard Terms and Conditions may apply. E & OE. Exclusions All Items of a personal nature. Meals not mentioned. Medical and Travel insurance. Optional tours, customary tips to guide and drivers. Terms & Conditions : Block out dates apply on selected departures. Prices are from a starting price per person sharing, subject to change, airfare increase, currency fluctuations and availability. Taxes are estimated and based on the current exchange rate and are subject to change. Advance purchase, peak season surcharges, block out periods and minimum stay conditions may apply. Please note that airport taxes, fuel levies & surcharges are approximate and subject to change, the exact amount will be confirmed at time of booking. Valid for dates as specified. Group rates available on request. Thompsons Standard Terms and Conditions may apply. E & OE. Exclusions Flights. All Items of a personal nature. Meals not mentioned. Medical and Travel insurance. Optional tours, customary tips to guide and drivers. Terms & Conditions : Prices are from a starting price per person sharing, subject to change, airfare increase, currency fluctuations and availability. Taxes are estimated and based on the current exchange rate and are subject to change. Advance purchase, peak season surcharges, block out periods and minimum stay conditions may apply. Please note that airport taxes, fuel levies & surcharges are approximate and subject to change, the exact amount will be confirmed at time of booking. Valid for dates as specified. Group rates available on request. Thompsons Standard Terms and Conditions may apply. For standard terms and conditions refer to www.thompsons.co.za E&OE. Exclusions All Items of a personal nature. Meals and drinks not mentioned. Medical and Travel insurance. Terms & Conditions : High season airfare supplement apply. Prices are from a starting price per person sharing, subject to change, airfare increase, currency fluctuations and availability. Taxes are estimated and based on the current exchange rate and are subject to change. Advance purchase, peak season surcharges, block out periods and minimum stay conditions may apply. Please note that airport taxes, fuel levies & surcharges are approximate and subject to change, the exact amount will be confirmed at time of booking. Valid for dates as specified. Group rates available on request. Thompsons Standard Terms and Conditions may apply. E & OE. Exclusions City tax payable directly at all hotels. All Items of a personal nature. Meals not mentioned. Medical and Travel insurance. Terms & Conditions : High season airfare supplement apply. Prices are from a starting price per person sharing, subject to change, airfare increase, currency fluctuations and availability. Taxes are estimated and based on the current exchange rate and are subject to change. Advance purchase, peak season surcharges, block out periods and minimum stay conditions may apply. Please note that airport taxes, fuel levies & surcharges are approximate and subject to change, the exact amount will be confirmed at time of booking. Valid for dates as specified. Group rates available on request. Thompsons Standard Terms and Conditions may apply. E & OE. Exclusions Visitor s tax & port fees. All Items of a personal nature. Meals not mentioned. Medical and Travel insurance. Terms & Conditions : High season airfare supplement apply Prices are from a starting price per person sharing, subject to change, airfare increase, currency fluctuations and availability. Taxes are estimated and based on the current exchange rate and are subject to change. Advance purchase, peak season surcharges, block out periods and minimum stay conditions may apply. Please note that airport taxes, fuel levies & surcharges are approximate and subject to change, the exact amount will be confirmed at time of booking. Valid for dates as specified. Group rates available on request. Thompsons Standard Terms and Conditions may apply. E & OE. Exclusions All Items of a personal nature. Meals and drinks not mentioned. Medical and Travel insurance.